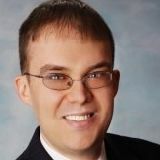 Justia Lawyer Directory Search for "Brian J. Pulito"
Search for "Brian J. Pulito"
Brian J. Pulito was born in 1980 and was admitted to the Pennsylvania Bar in 2007. Pennsylvania. While in Law school Mr. Pulito was the recipient of the Martin Luther King Internship with Northwest Legal Services, and internship awarded to only eight individuals across the Commonwealth of Pennsylvania. At Syracuse Law Mr. Pulito received extensive training in the development and licensing of intellectual property for start-up technology companies.